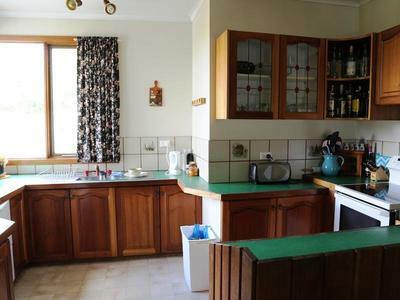 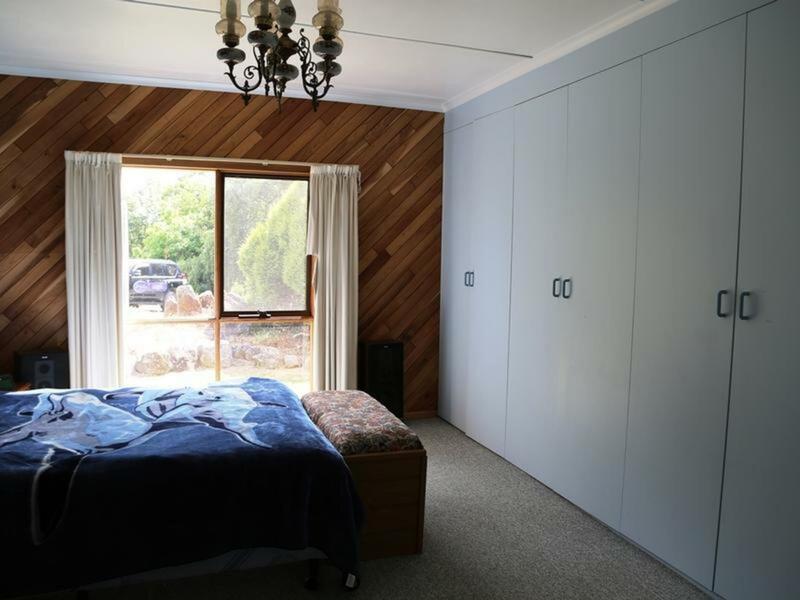 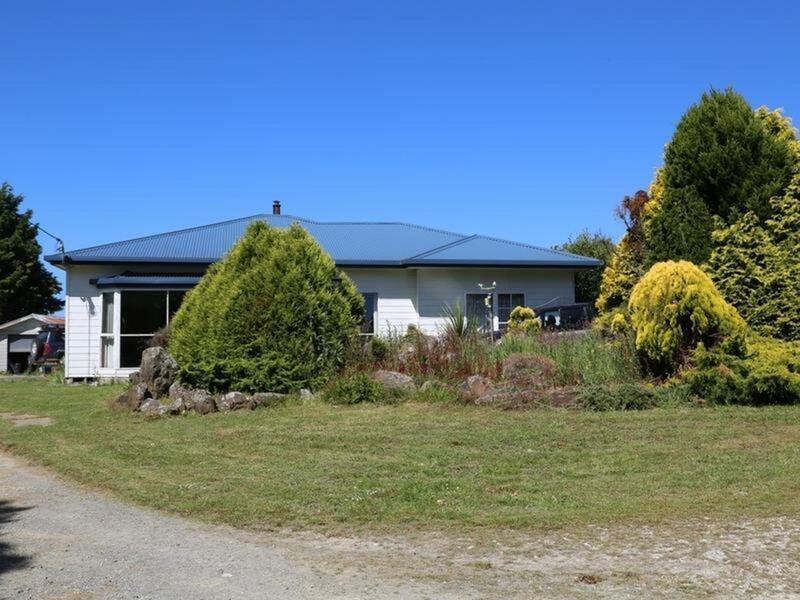 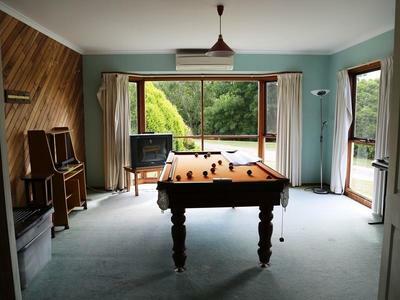 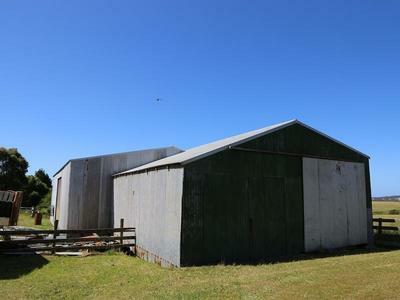 Scotchtown 3 Bedroom Home & 2.44 Ha Huge Sheds. 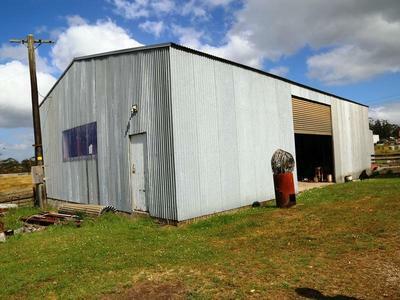 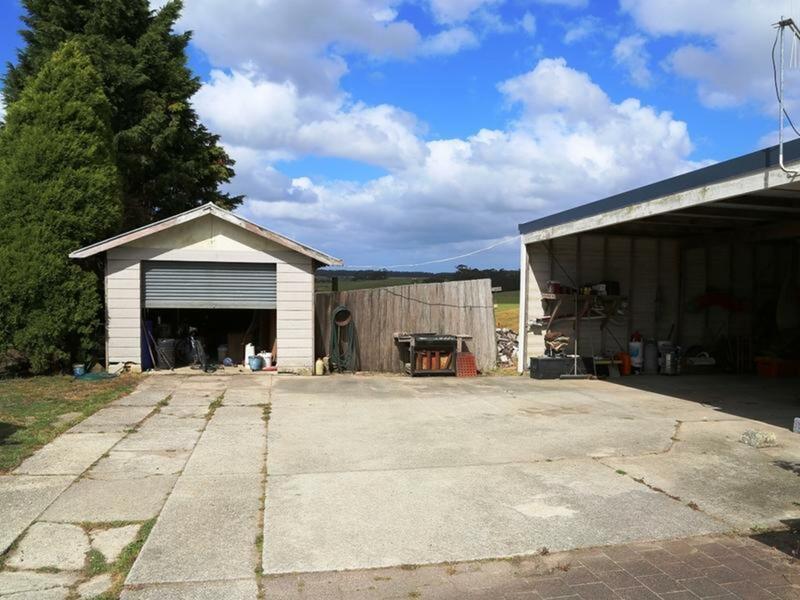 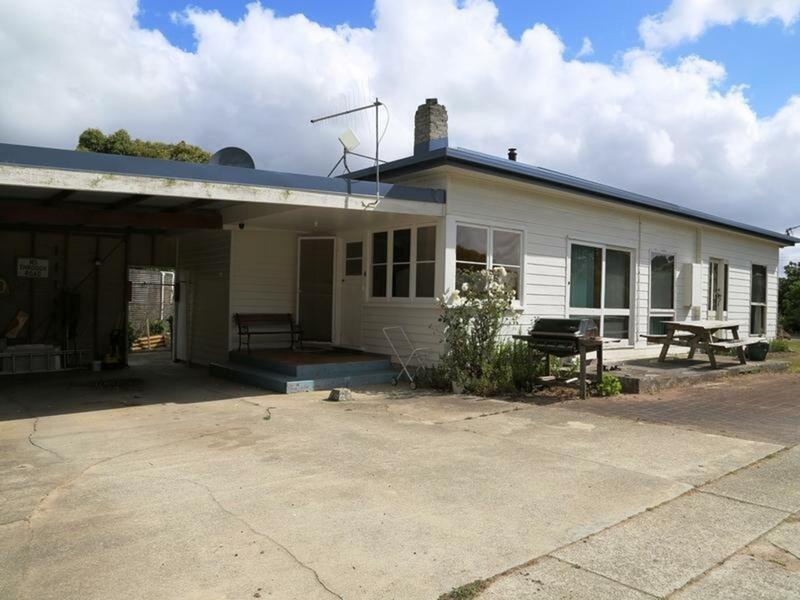 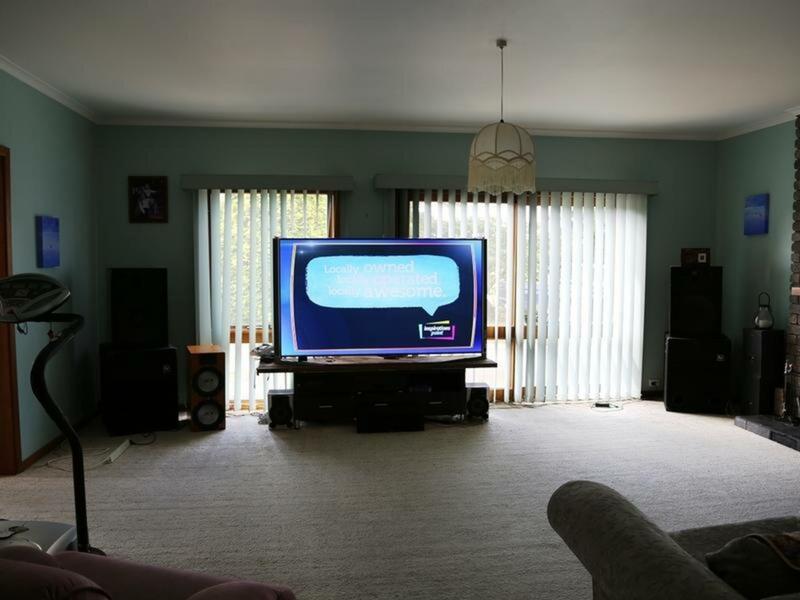 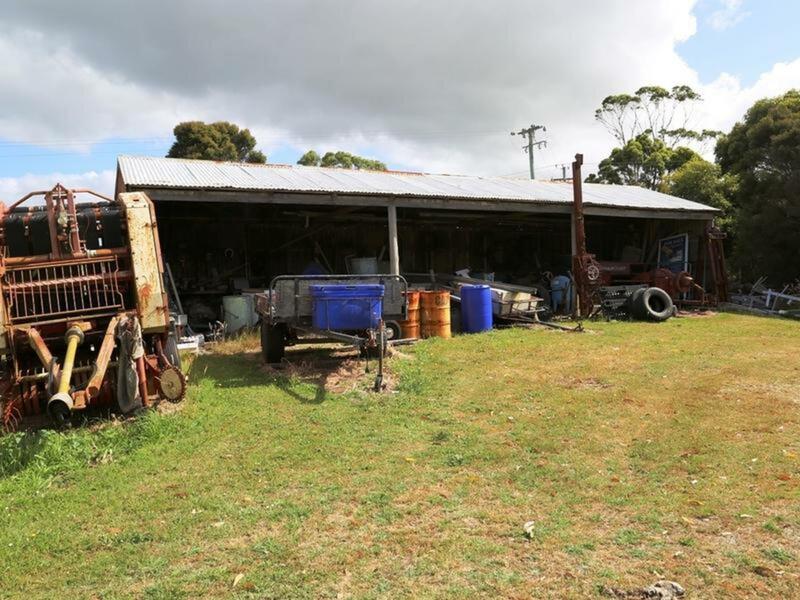 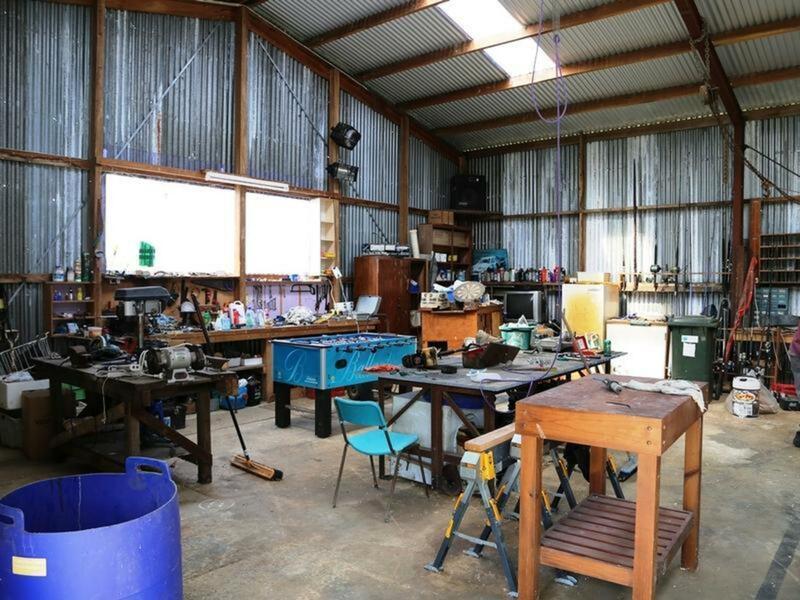 Solid 3 bedroom home with 2.44 ha's of land with huge machinery/work shop shed, plus a machinery shed open at the front, and plenty of extra storage space. The home is an older style solid warm/ sunny dwelling. 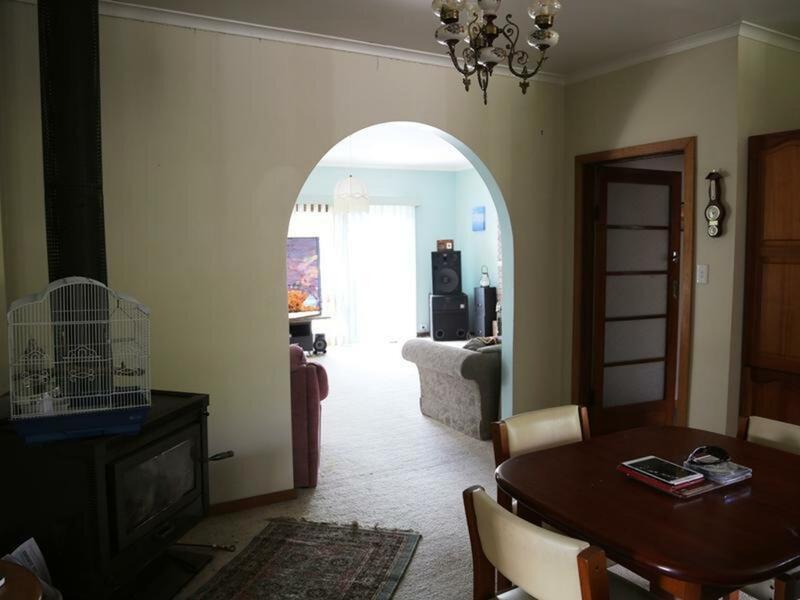 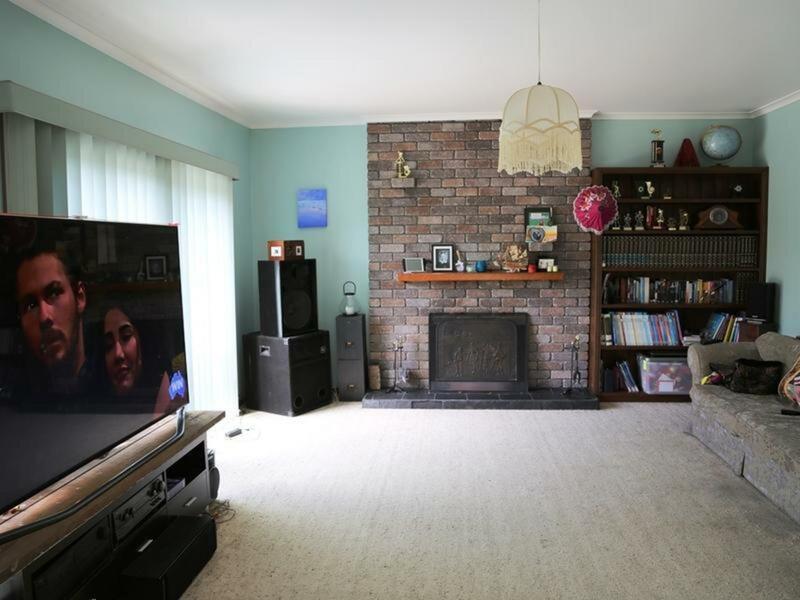 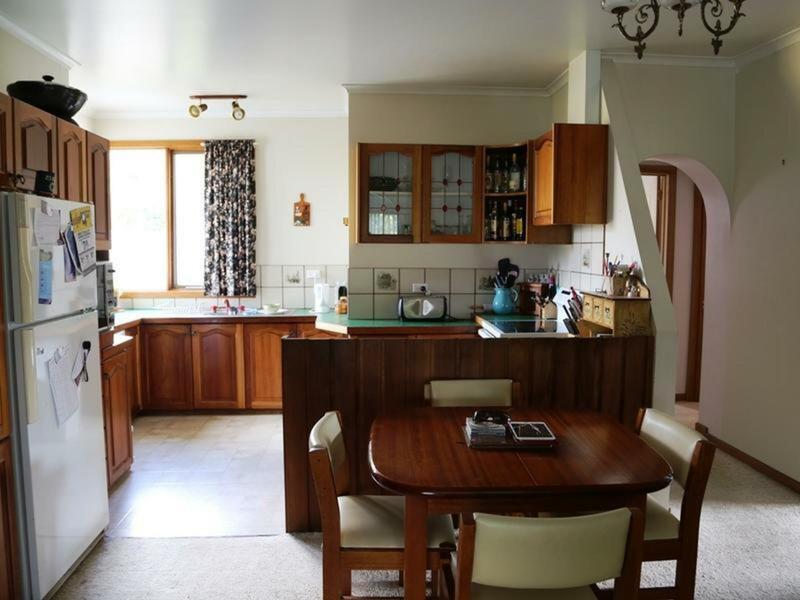 The kitchen/dining room has a free standing wood heater, the living room has an open fire and the rumpus or extra living/family room has a heat pump. The property has stock yards and loading race and would be the perfect home for a family with the love of horses or to raise a few animals. Plenty of under cover parking for cars and a single garage. 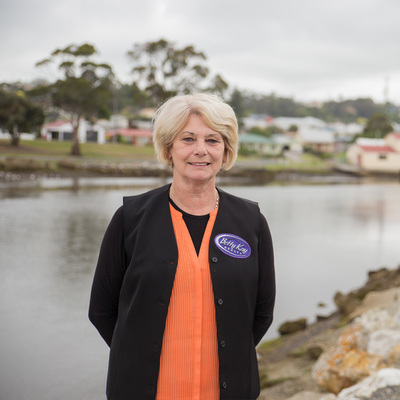 The park like surrounds has established trees and needs little maintenance. 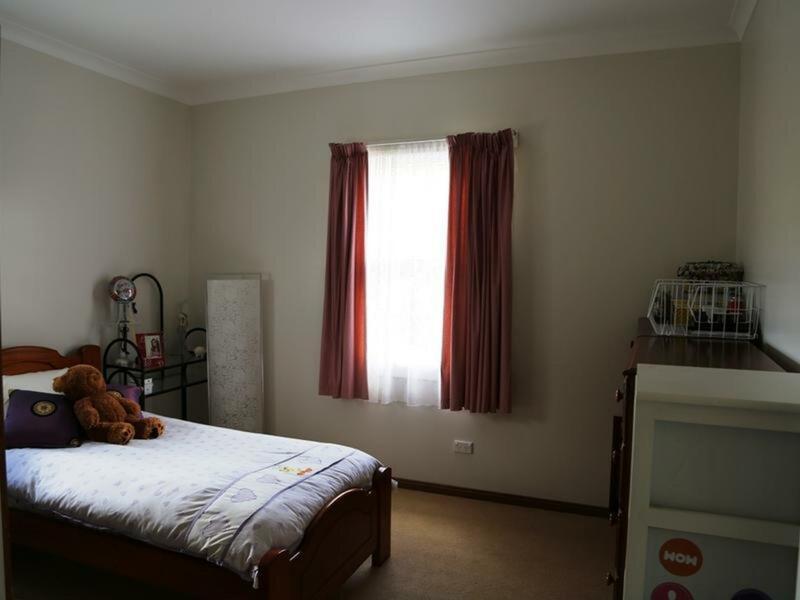 The school bus stops just over the road for a family with children. All this and only a 5 mins drive on a sealed road to Smithton.